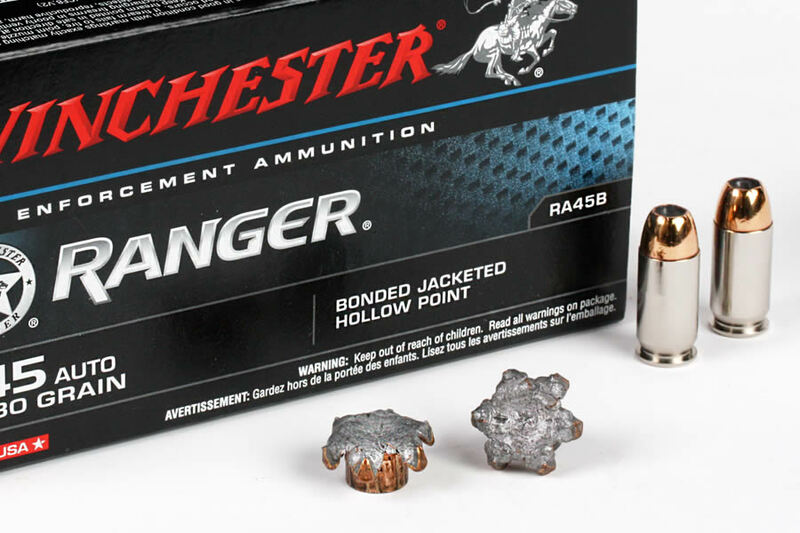 Ranger® Bonded 45 ACP Ammunition from Winchester was specifically created to deliver maximum penetration through the toughest of barriers. 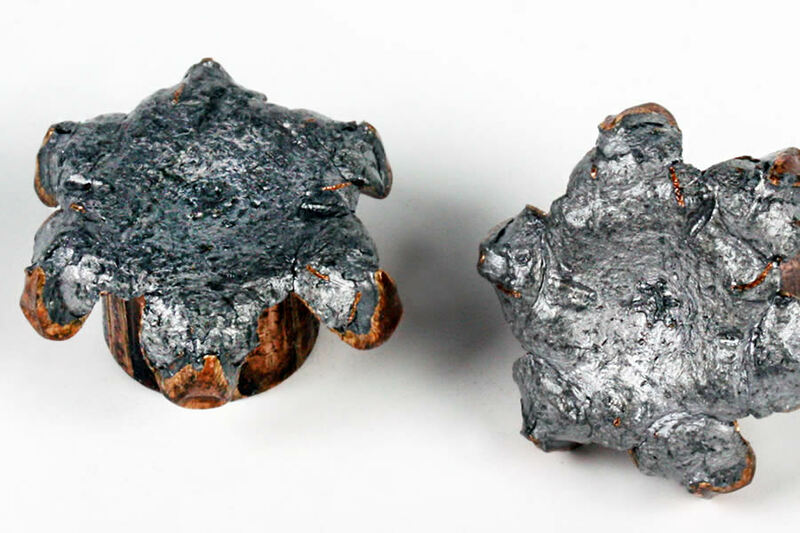 This effectiveness is made possible thanks to the Winchester proprietary core/jacket bonding process—and is enhanced with a special hollow point cavity that acts in unison to control expansion, leading to maximum weight retention and deep penetration through hard and abrasive barriers including auto glass. Selected by federal law enforcement agencies for their service rounds, the Ranger Bonded gives you the penetration to handle the most serious of threats.